My win probability graphs for the French Open now feature a toggle which allows you to view probabilities that are calibrated to the betting market odds. For the original "50/50" versions, I assumed that each player has a 62.5% chance of winning a point when serving (and a corresponding 37.5% chance on return). The "Market" version adjusts the serve and return probabilities so that the starting win probability matches the win probability as implied by the pre-game betting line. 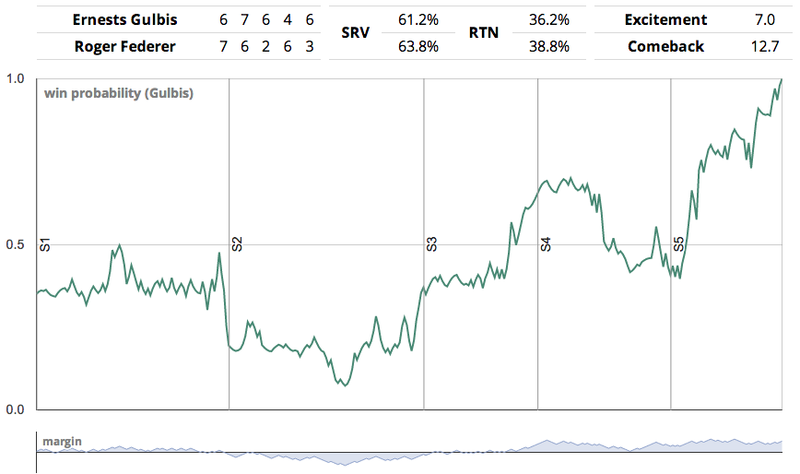 The assumed serve and return probabilities are featured at the top of the graph, next to the score. What results is a more accurate version of the real drama of each match. 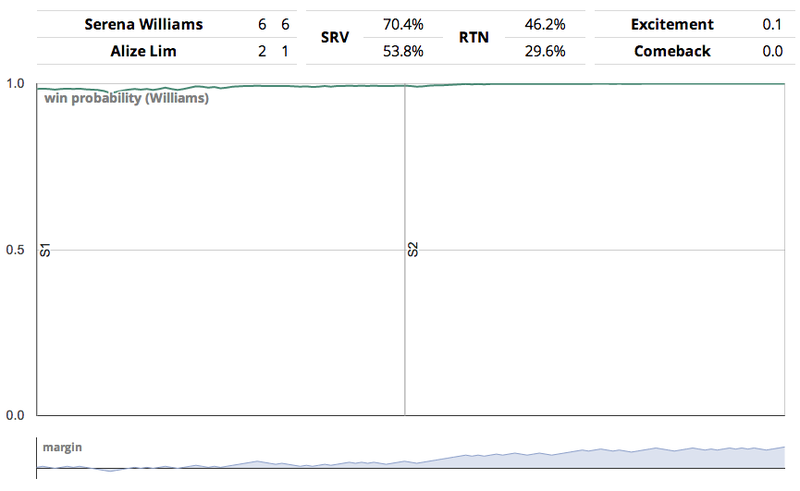 For example, here is the graph for the round 1 match between Serena Williams and Alison Lim. Serena went into the match with a win probability of 98.4%, and the line barely budged from that number as Serena won in straight sets 6-2, 6-2. And here is the graph from Ernests Gulbis' upset over Roger Federer. Gulbis began the game with a 36% win probability, and saw his chances fall to 7% midway through the second set, before battling back to win in five sets.